Restonians are once again faced with the prospect of the burden of an added local “tax service district that could add hundreds of dollars to their annual property tax bill every year. The one we already have, Small Tax District 5, supports our Reston Community Center in providing cultural and educational activities for the community. The proposed new one would solely subsidize developer profits while increasing county tax revenues. 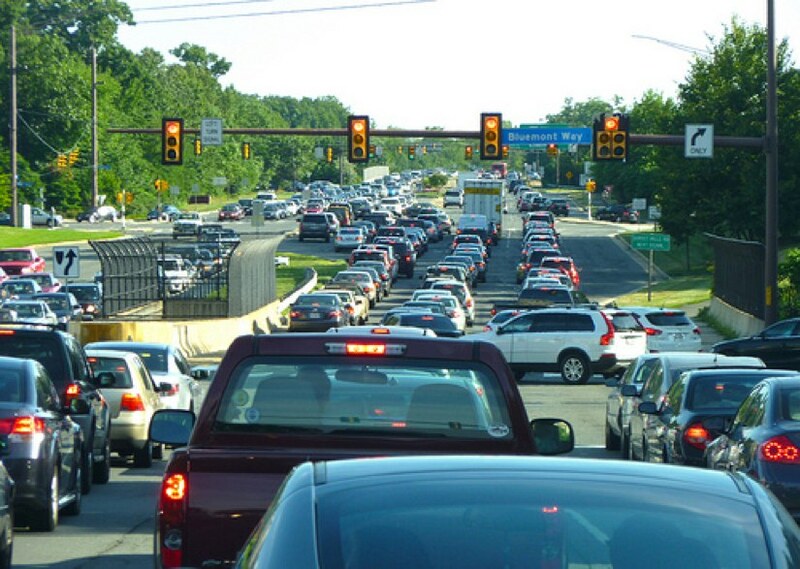 As this discussion continues, Reston Association has shared a questionnaire online with its weekly RA NewsLine (click on “Transportation Tax Survey) for residents to provide feedback on the Reston special transportation tax district idea. I urge all Restonians to vote “NO.” The following provides an explanation why. The basis for the proposal lies in planned development in Reston’s station areas, growth that will exclusively benefit Reston’s station area landowners. Assuming that all Reston developers are as successful as Boston Properties per its 2015 annual report, their likely profit will total more than $53 billion over 40 years after building costs. That includes more than $9 billion from their future development as well as more than one billion dollars per year from their existing Reston holdings. That is an average of $1.3 billion per year! Yet these same developers, backed by the County, want Reston homeowners to pick up as much as half of the $2.6 billion tab — about $65 million per year — for needed station area road improvement even though their total cost will be less than three percent of their profit from their Reston properties over the next 40 years. The forecast annual road improvement cost is less than five percent of the future annual profits of the Reston station area landowners and can be easily absorbed as part of their investment in offsetting the impact of their development, but the County is proposing that residents pay some of the road costs. One of the transportation tax options the County has proposed is that all Reston homeowners pay $.025/$100 residential property valuation to help defray the road improvement costs. Today, with the average Reston home valued at $428,000, the added cost of that Reston special tax would be $107 per year to start. This special tax would be in addition to the average $202 Restonians already pay to operate the Reston Community Center, a County public facility committed primarily to Restonians’ use. With 3 percent annual appreciation in the value of a family home and/or general inflation, the average added transportation tax cost would be more than $200 per year per household over the next 40 years for an average-priced home — assuming the mix of home values remains constant (and it is more likely to increase with thousands of new high-priced condos in the station areas). On a community-wide basis, that three percent annual growth in assessments would mean the average Reston homeowner would pay more than $8,800 and the total residential community tax contribution would be more than $350 million over 40 years. And that is without any shift in housing mix or tax rate increases by the Board of Supervisors. The Board is driving the transportation tax idea because it believes that by encouraging the growth of taxable real estate values, it can solve its budget problem. Another Reston special tax district at $.025/$100 valuation Reston-wide tax rate would bring in about $4.4 million in new revenues in the first year — and grow every year thereafter — even if there is no development. Moreover, from the Board’s perspective, to the extent these taxes encourage developers to build sooner because of lower investment costs, it will create even more high-tax value high-density real estate. It’s a win-win situation from a Board perspective: More tax revenue through subsidized corporate development. If the developers believe they will earn an adequate return on their investment, they will build the roads needed to help make their new construction profitable anyway without a special Reston residential tax subsidy. If they choose not to build for whatever reason, then Reston won’t need improved roadways (except to meet existing standards) and, therefore, we won’t need any added transportation taxes. If the transportation tax is approved, Restonians would have no special access or other benefit to anything in the station areas despite paying a significant sum for these new or improve roads, even free parking. People from all over the county, the state, even beyond Virginia, including most of the 60,000-plus Reston station area employees who commute here daily, will use the station area roads for free while Restonians pay for them. Even those Restonians who choose not to go to the station areas (or go there rarely) such as retirees on fixed incomes and younger, less affluent Restonians will still have to pay the full transportation tax. The ultimate irony of this road “improvement” tax proposal is that the County literally promises worse congestion as a desirable traffic “goal.” So Restonians will be taxed to experience worse congestion, even those who only drive through the station areas, say, on Wiehle to/from the Dulles Toll Road, with no intention of visiting them. The bottom line is that the transportation tax proposal completely detaches who pays the tax from who benefits from it. Residents pay more for less usable roadways; developers pay less and profit more. It is unfair and inequitable to Restonians by any measure. The idea that taxing Reston homeowners, whether they live in the station areas or beyond, because they will garner some unidentified, much less quantifiable, “benefit” from the development there is a deceptive scheme and the County knows it. The proposed County transportation tax is, in fact, nothing more than grotesque corporate welfare, the Reston property owner paying more taxes so major Reston developers can increase their profits and the County can increase its tax revenues. Attend Supervisor Hudgins’ “Reston . . . Blueprint for the Future” Open House this Wednesday, April 20, 6-8:30 p.m., South Lakes High School, and tell county officials and developers what you think. Let Reston’s leaders know of your disapproval of this dishonest and unfair proposal.